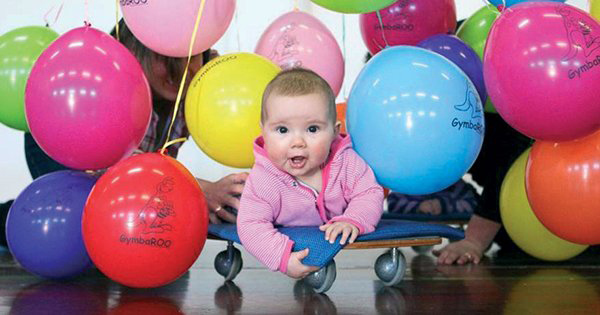 If you’re a parent, chances are you’ve heard of the excellent and much loved GymbaROO program. If you’re lucky enough to have a sweet baby in your care or you’re currently expecting, you’re going to want to get in on the awesome online (and currently free) Active Babies Smart Kids Video series – developed by the very same team that created GymbaROO, it’s an essential guide for parents to learn how to play and have fun with your baby while building crucial building blocks for future learning. Adapted from GymbaROO’s baby programs, the Active Babies Smart Kids program is a series of online videos focusing on the importance of your baby’s first year, brain development and their prospective learning and what you as mum and dad or carers can do as your bub’s first and most important teacher, to get your sweet bundles of joy off to their best start, all while having fun! A great way to interact and introduce play with your baby from birth, the Active Babies Smart Kids program is designed to be enjoyed with your baby, in the comfort of your own home, at your leisure. If you’re pregnant there’s no better time than now to sit and watch the videos and arm yourself with important tips and information you can use in the early days following the welcome arrival of your precious new baby. Highly recommended by paediatricians, Maternal Child Health Nurses, early childhood specialists and parents, the Active Babies Smart Kids video series is viewed as an essential guide for all parents and is a wealth of information that every parent need know to develop and extend their child’s potential. Nurturing such potential isn’t tedious at all, both parents and babies will love joining in on fun and varied activities. Activities include baby exercises, dancing, baby massage, tummy time, visual development activities, baby balance, hearing and speech, just to name a few. It’s a given that both parent and child will have a great time learning together. 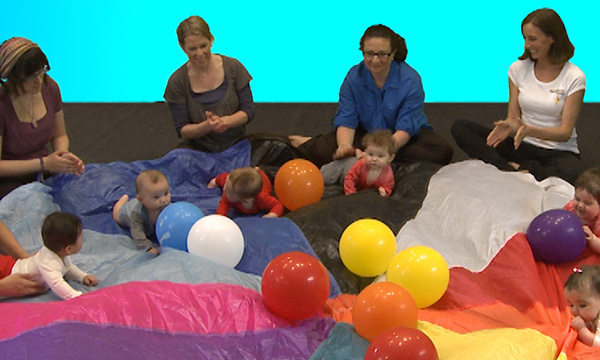 Active Babies Smart Kids program is a twelve part series, with each online video available currently for free. Each video session is full of vital development information along with professional advice. Best of all, for a limited time only, this must-see viewing is being offered free of charge to all Australian and New Zealand residents, so be quick to register via the registration tab on Active Babies Smart Kids homepage.